So sad – we live not an hour away from one of the most amazing national parks in the country, but only seem to go there when someone comes to visit. So thanks, Mike, for visiting! 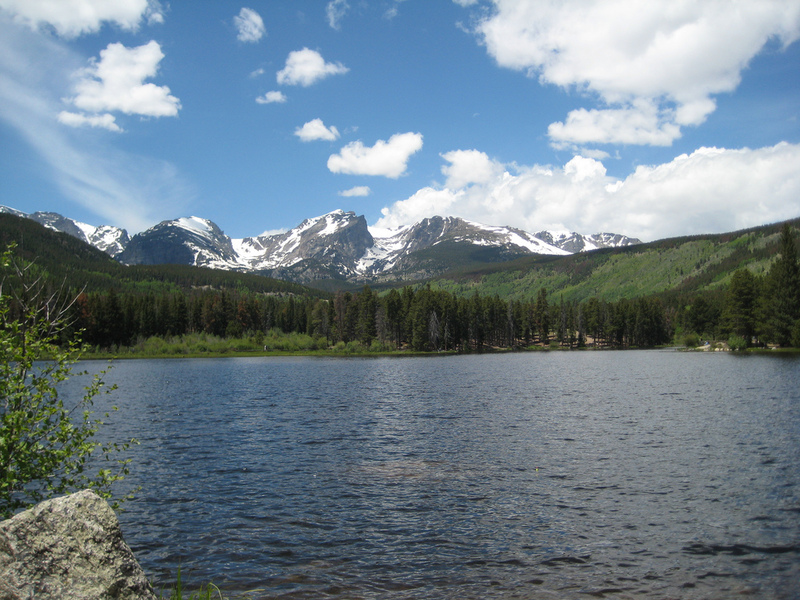 Sprague Lake, in Rocky Mountain National Park, is encircled by a 1/2 mile wheelchair accessible loop trail. About a 1/2 mile off the the lake, there is an accessible back country campsite with two tent pads, picnic tables, and accessible vault toilet. For information about getting a permit for the campsite, see Sprague Lake Accessible Camp. Note that while the guide says that permits can be picked up in person at the Headquarters Backcountry Office, the Backcountry Office is not wheelchair accessible. Just gorgeous. Wow. Happy happy — looks like it was beautiful weather. Very beautiful–we were up there last year. Thanks for the info and pictures – now we know what to expect!